I stumbled across a unique spot in Pittsburgh the other day my attempts to unload some 1970s era bicycles. I imagined that it was going to be easy. I was going to go down to a bike shop about a mile from our apartment and drop them off where they would be recycled for parts or fixed up for someone else. 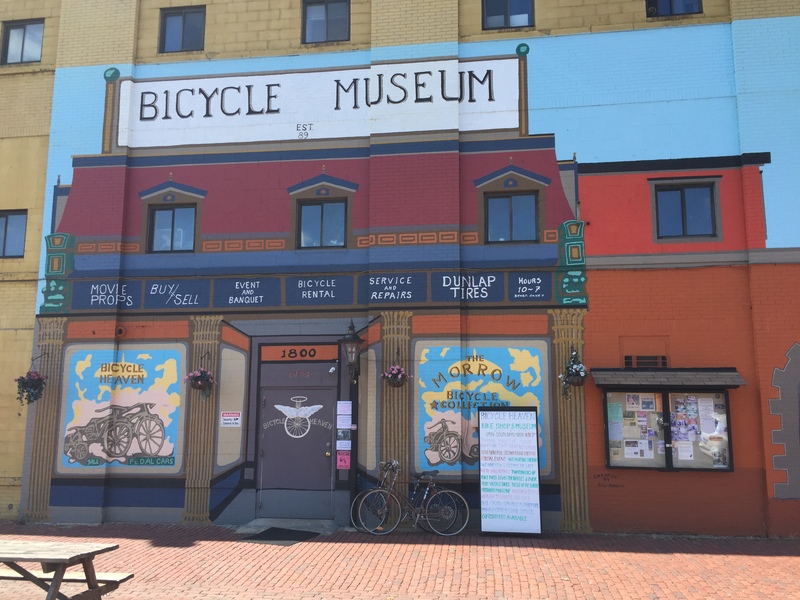 Well, after three strikes at three different shops in trendy Lawrenceville and the Strip District my Google search popped up one more name on the far side of town: Bicycle Heaven. I had to hop on the freeway with the hatch open on my Jeep, as it was the only way to get the bikes to fit. Did I mention it was cold? But that’s all beside the point. The shop, located in a large warehouse structure in an industrial park, was brightly decorated with a mural and had a large parking lot in front. The owner didn’t take long in telling me he’d take the bikes and maybe use them for parts. His biggest suggestion was that I take a look around the museum. I was skeptical at first. I’ve been a lot of places that call themselves museums and are more a collection of junk. This time I was in for a pleasant surprise. The well-catalogued collection has some genuine historic pieces in it, including bikes nearly 150 years old with wooden wheels. The collection of two-wheel wonders was more than 3,000 strong. 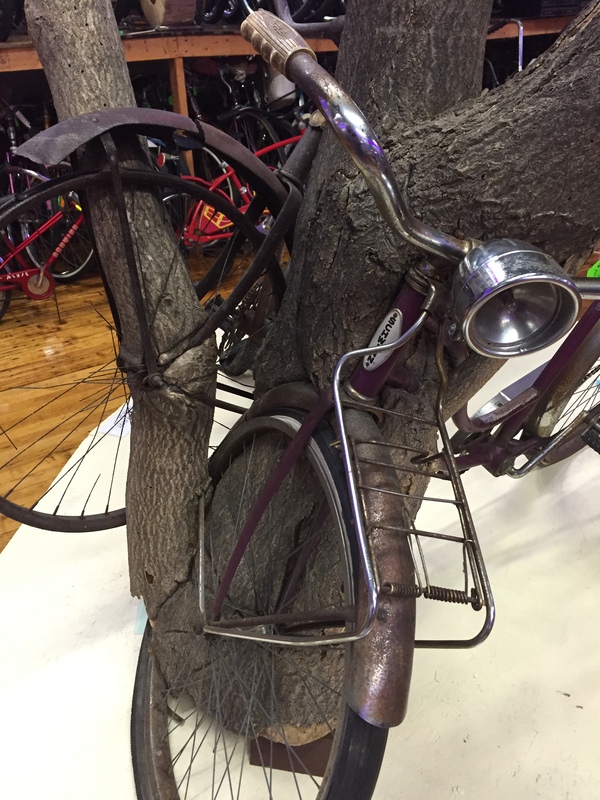 Another highlight is a set of bikes that had been left next to a tree and enveloped by the growth. The bikes were on the ceiling, to your left, to your right, and every bike on display was in amazing condition. 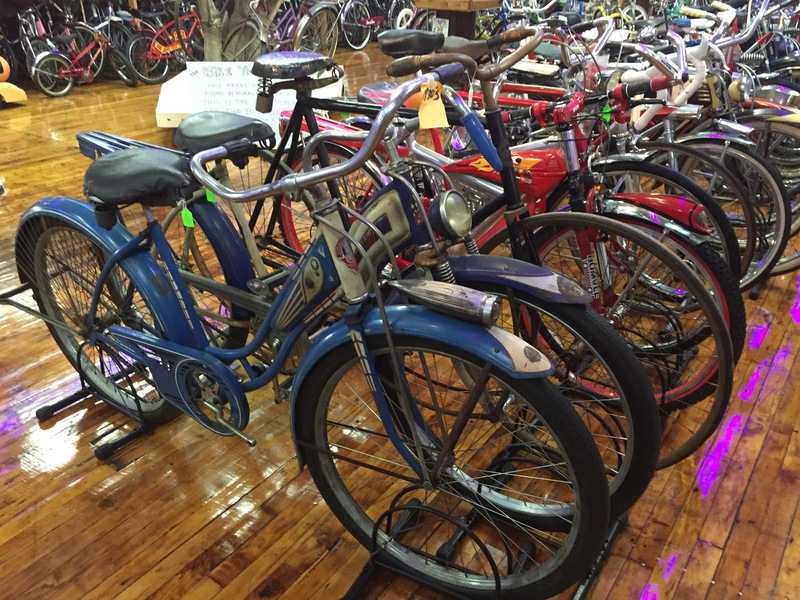 You could see bikes from Schwinn and Huffy and every make in between. I even stumbled across some really interesting surprises. 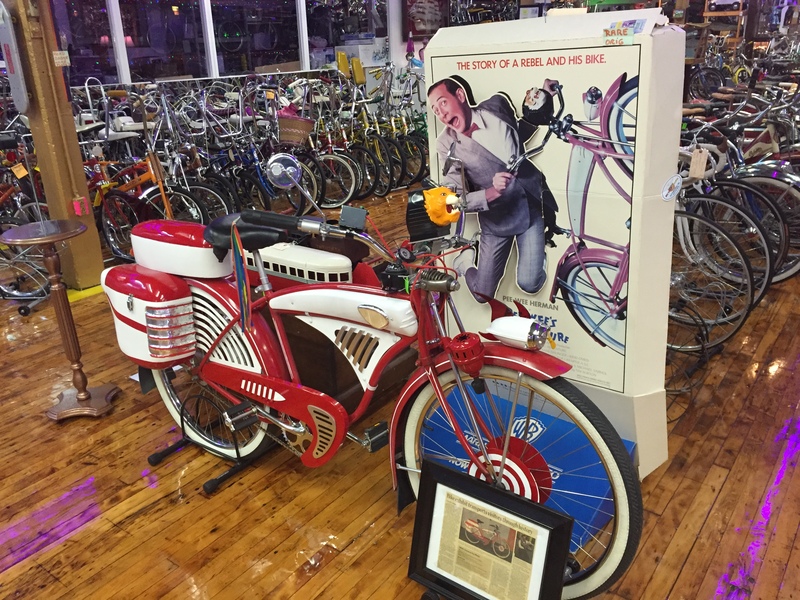 The second floor of the museum has a pinball machine (odd for a bike shop) so famous you couldn’t touch it. 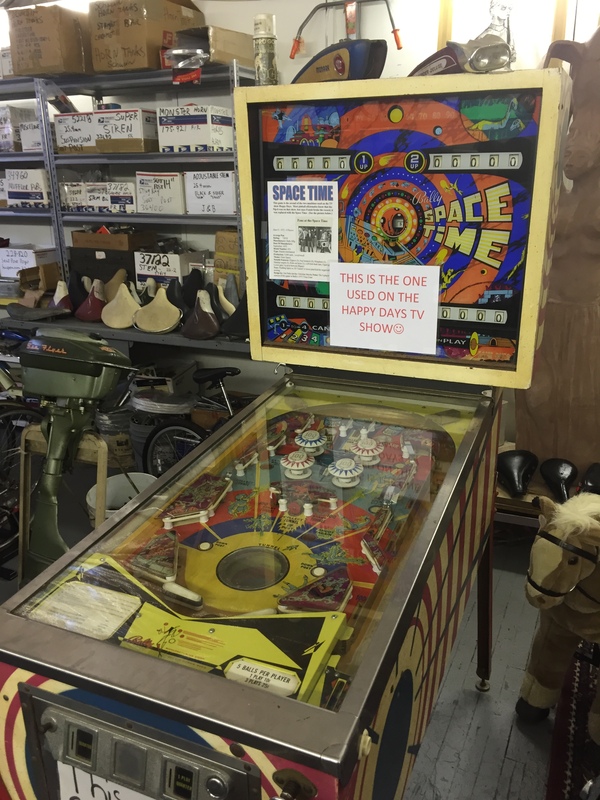 It’s the Space Time pinball machine that Fonzy played in Al’s diner on Happy Days. The other really cool surprise was a big hit from a different generation. The little red bike with streamers and lion head you’ll recall from Pee Wee’s Big Adventure. You could easily spend an hour wandering around the floors of the museum and come across three or four bikes you’d take home if you could. I definitely suggest a visit to this wonderful, out-of-the-way museum.